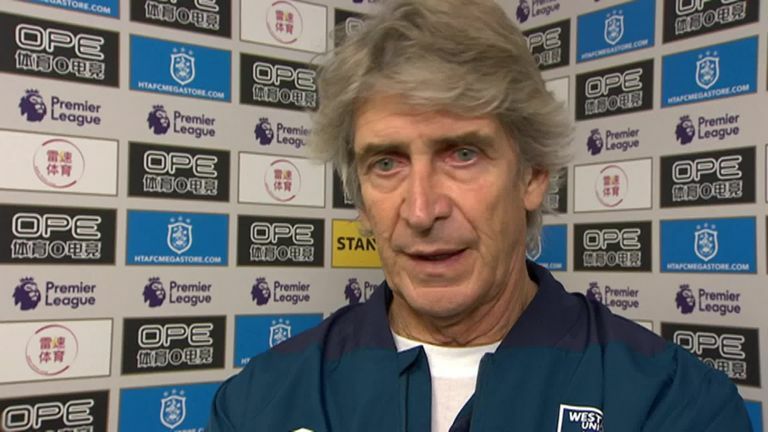 Manuel Pellegrini admitted he was happy with a point after West Ham recovered from a goal down to draw 1-1 with Huddersfield. The visitors suffered an early setback at the John Smith's stadium when Alex Pritchard opened the scoring after only six minutes and were it not for Lukasz Fabianski's efforts, Huddersfield could have gone further in front. 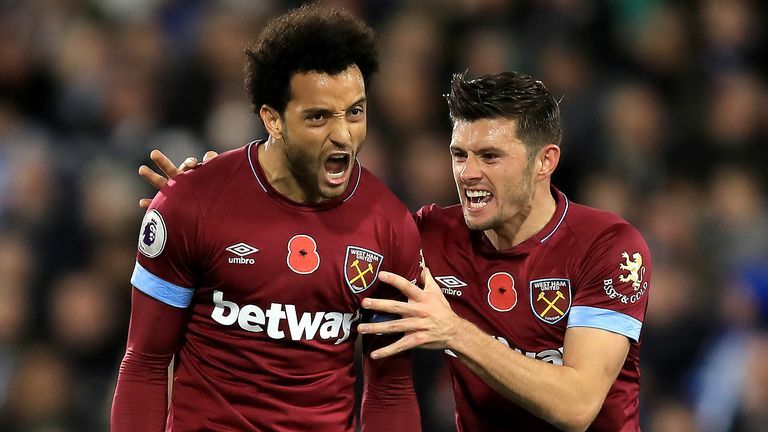 West Ham offered a far greater attacking threat in the second half and drew level when Felipe Anderson lashed a shot into the top corner following a scramble in the six-yard box. Following their 4-2 win over Burnley last Saturday, West Ham were the favourites to win in Yorkshire but Pellegrini acknowledged that his side found it difficult to deal with the intensity of Huddersfield's play. Pellegrini said: "I'm happy because we didn't play well. Maybe before the game the media and a lot of people thought [West ham would beat] Huddersfield because they have only won one game, but I said before that in the Premier League there are no easy games, every team plays with intensity. "All these games where everyone thinks you've won before you play are the most dangerous so maybe in the first half they didn't believe. I repeat, Huddersfield if they are winning or losing always play in the same way with intensity so if you don't play with the same pace it's difficult. "When you don't find ways to score you have to take alternatives. Javier [Hernandez] is more inside the box than Marko [Arnautovic], [Michail] Antonio has good speed, so we tried to make some changes to at least draw." Anderson was in exceptional form against Burnley at the London Stadium last weekend, scoring twice as well as hitting the post and while he was more subdued at the John Smith's stadium, he stepped up when West Ham needed him to with a fine finish. "It was a beautiful goal," Pellegrini said. "I don't like to analyse too much individual performances, I think today as a team it was not the game that we needed to play, it was maybe not the result that we expected before the game but after 95 minutes I think it was a good point for both teams."